to Sun Valley just to see them. 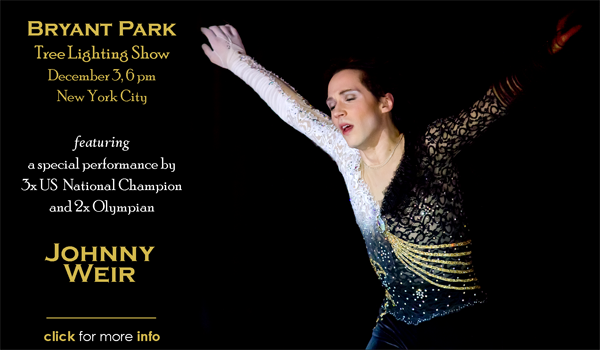 NYC tree lighting Tuesday, December 3! 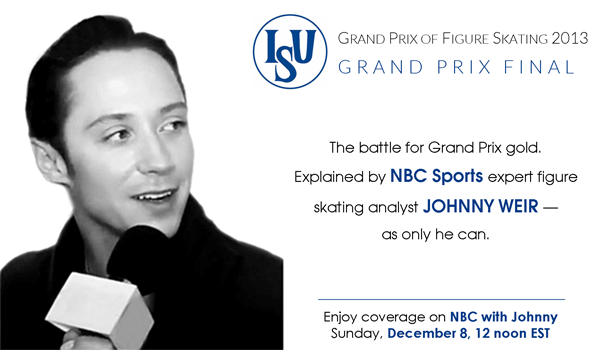 to provide commentary on the Grand Prix Final! 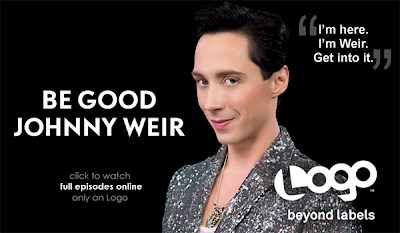 ICYMI: His Rostelecom ladies’ commentary is here. So as we get ready to celebrate Thanksgiving here in the US, here’s a bunch of wonderful Wayback Wednesday picspam of Johnny and his fans that you can enjoy through Throwback Thursday tomorrow and again on Flashback Friday and basically throughout the weekend because these are so full of smiles that one scroll down is definitely not going to be enough. 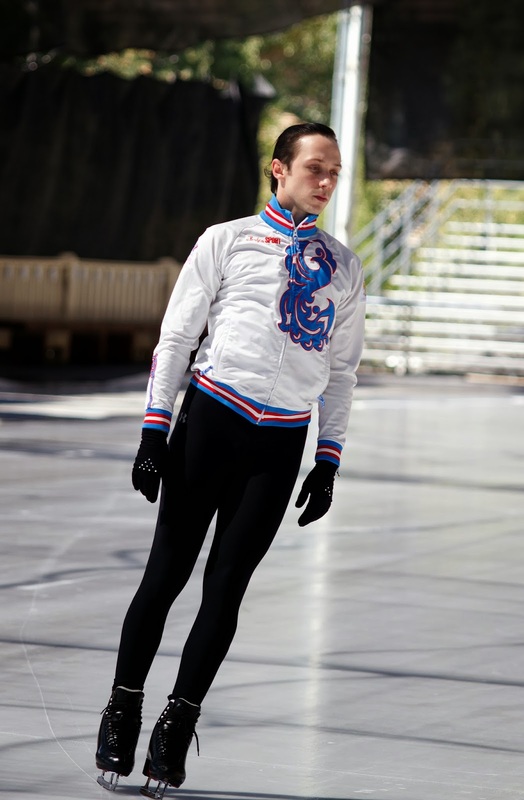 One of the things Johnny has often mentioned is how thankful he is for all his fans, for their fierce devotion and loyalty, their willingness to leap into battle for him at any moment, and their love, most of all, for his life’s passion: his skating. I don’t make it easy to be a fan of me, he wrote in Welcome to My World. I wear outlandish outfits and say outlandish things. Like everyone else in my life, [my fans] need to have a thick skin. “How did you know what plane I was on?” I asked [one fan]. “Competition in four days. We wait at airport for two days already,” she said. For me? I was stunned. My own mother wouldn’t wait half an hour for me in the car. —WTMW, p. 106. And so here he is with fans in Sun Valley this past August. He’s exhausted and fighting a cold, high altitude, and smoky air, and yet: he chats and laughs and puts each fan at ease, signing autographs, listening intently to every. single. person., and posing for pics and videos with little kids and teenage kids and very grown-up kids, all of whom walk away feeling just a bit sparklier than they did a moment ago. 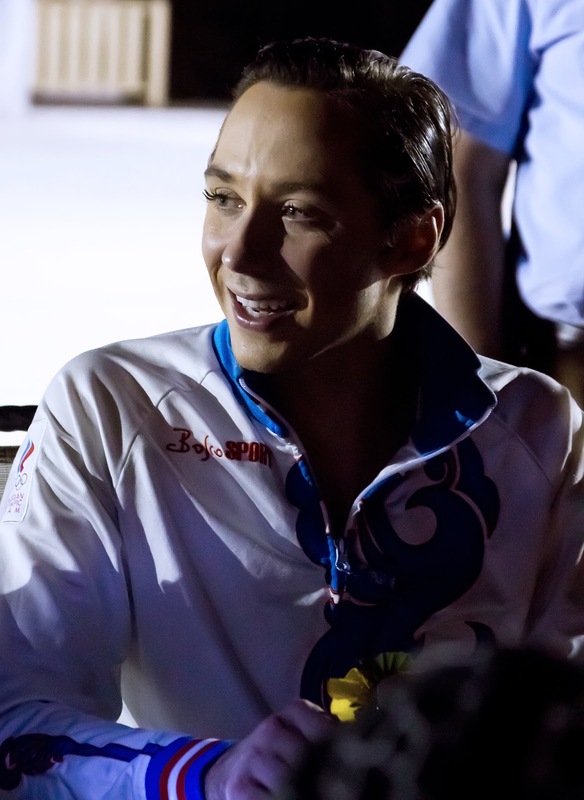 And at the end of the color picspam below, there is adorable video of him with a young fan, and an outstanding 10-second clip of Johnny thanking some fans and getting some love in return. he’s not a good example for kids. Johnny: You’re one of the best examples ever for kids. Resort security keeps a watchful eye over him. so he could see to sign his name! Autographing a skate for a young fan. ...and another super-excited young fan. and up and down from his seat to do photos. given out by Sun Valley to attendees. Yes, everyone is pretty much ecstatic. With my dear friend, the lovely Nicole Davis! Eiko Shibuya, who traveled from Japan for the show. So wonderful to see her! signing Lexi’s sling for her! Johnny is asked to autograph a pride flag. helps to hold the flag as he signs it. Exclusive photos © David Ingogly. over and over again here, here, or here! for the mens’ and ladies’ events! and exclusive new pics from the vault! Johnny, Fallen Angel, Vancouver 2010. “The most beautiful performance I have ever seen.